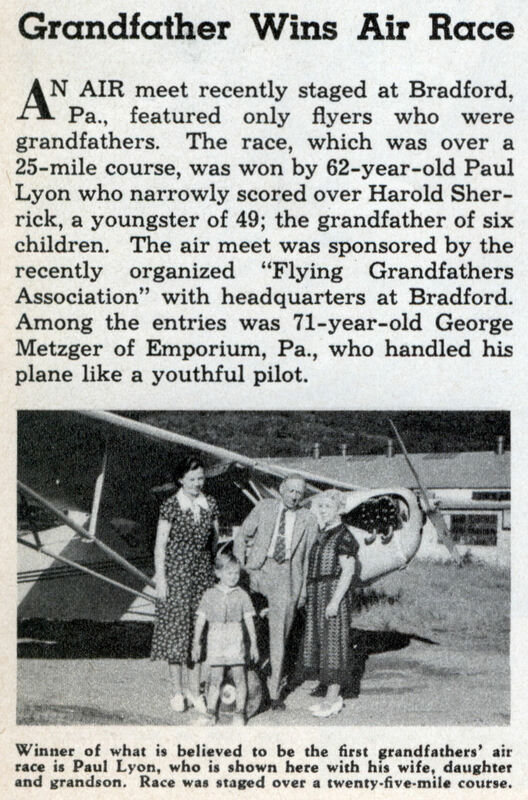 AN AIR meet recently staged at Bradford, – Pa., featured only flyers who were grandfathers. The race, which was over a 25-mile course, was won by 62-year-old Paul Lyon who narrowly scored over Harold Sherrick, a youngster of 49; the grandfather of six children. 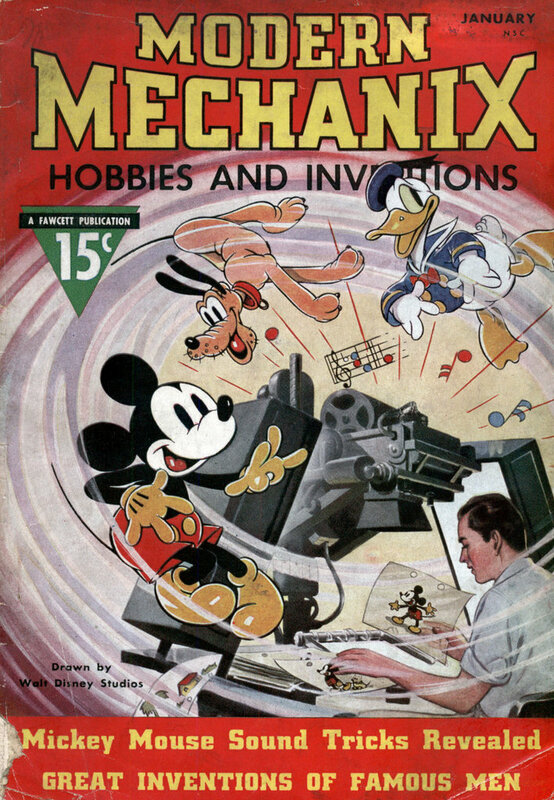 The air meet was sponsored by the recently organized “Flying Grandfathers Association” with headquarters at Bradford. Among the entries was 71-year-old George Metzger of Emporium, Pa., who handled his plane like a youthful pilot.